Halloween is such a fun time in our preschool class. 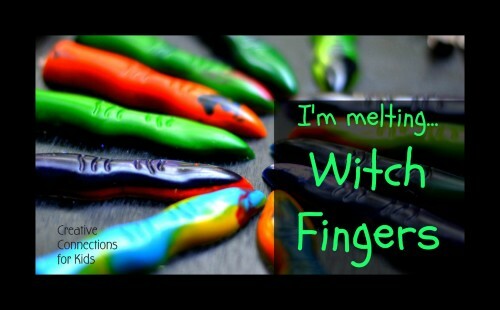 I love all the fun crafts and the kids really like to tell me over and over again what they are going to be for Halloween. We always have a fun Halloween Party with rotating centers. It’s much easier to do a big project or a game with less students. We invite moms to come and help too. 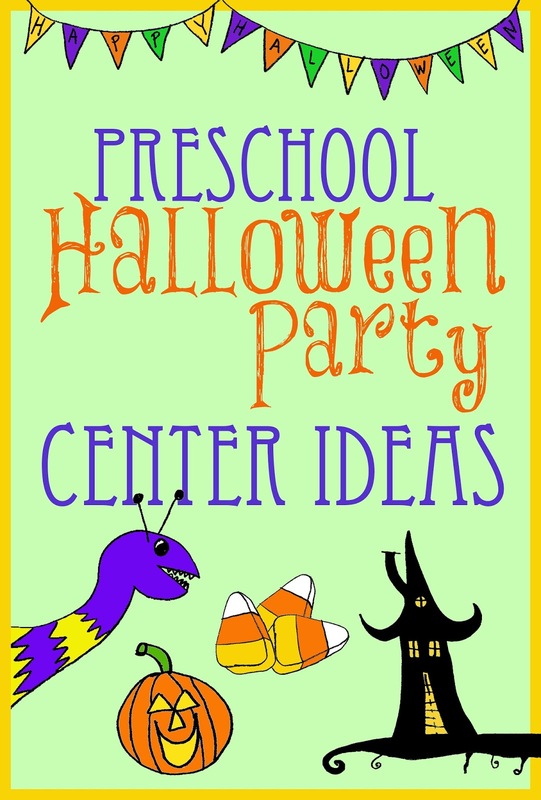 I’m always looking for new ideas on what to include in my centers for the party. A few of my fellow friend bloggers had so many fun ideas! I’ll share them with you. It’s going to be hard to narrow the list down to a few! Invitation to cut: Spider from LalyMom. It’s such a cute idea to cut bits of the string until they get to the spider. Visit LalyMom on Pinterest too! 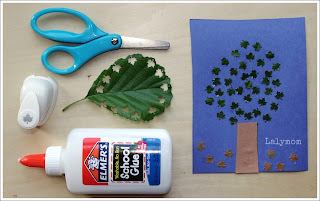 Also from LalyMom: I love this idea of taking a real leaf and making leaf punch outs to create a tree on construction paper! Jack -o- Lantern Doodle Sheets from No Twiddle Twaddle are a great idea to get the kids creative juices flowing to make up their own faces for their pumpkins. She includes a free printable too! 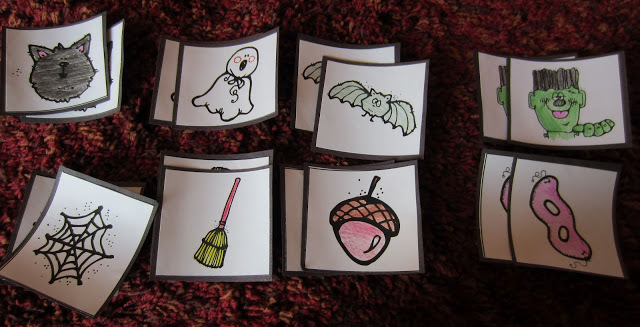 Halloween Memory Game from Still Playing School is a great group activity! This would be something I would do at home and add to a gift bag for the end of the party for the kids to take home 🙂 Such a cute idea! Skeleton Q-Tip Art: From Chirping Moms. Fun and easy! 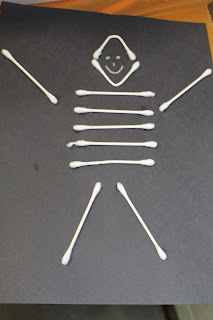 A great activity to learn how to use glue. Sight Word (Or Alphabet) Pumpkin Smash! From School Time Snippets. Using shaving cream to have a blast! Play dough Pumpkin Decorating! From the Educators Spin on it. I have never thought of this before. Using playdough and googly eyes to have fun with pumpkins! 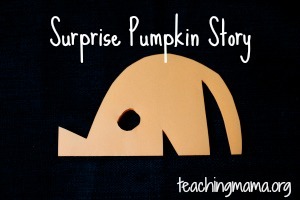 Surprise Pumpkin Story From Teaching Mama. A cute progressive story that ends up as a pumpkin! 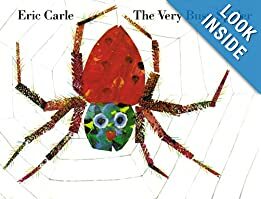 How to Make a Spider Web from Wildlife Fun for Kids. This would be a great activity if you have an open area. 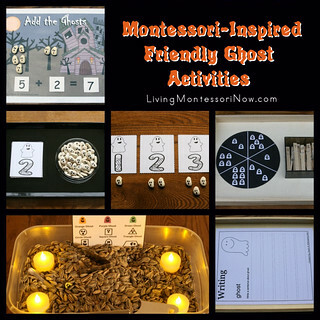 I hope you enjoy your Halloween Preschool Party and find these activities useful! What are your favorite Halloween party activities and treats? Leave a link in my comments!